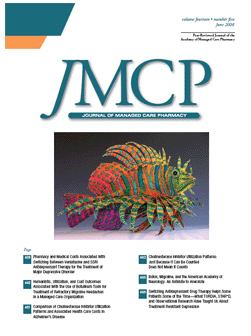 The Journal of Managed Care Pharmacy is a peer-reviewed journal, with 9 publication dates per year: separate issues for the months of March, April, May, June, September, and October and combined issues for January/February, July/August, and November/December. 1.What inspired you to become an artist? As a child my sisters and I were always doing some sort of craft project, so I think I always was an artist. I knew I didn’t want to teach and graphic art didn’t fit so I got into an art fair after college in 1991 and have been doing them ever since. 2. Where did you get your art training? 3. 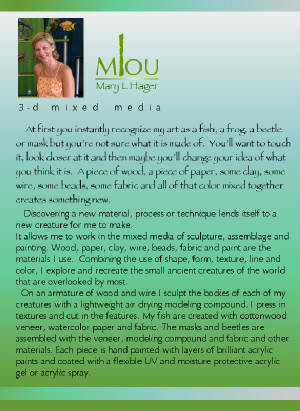 What prompted you to begin to create your mixed media sculptures? 4. Did you have any artistic mentors or favorite teachers? Not really, I did take 2 classes in college that really inspired me. One being color studies and the other being form, space and materials. Those really pushed me to be creative and try different materials to create art. 5. 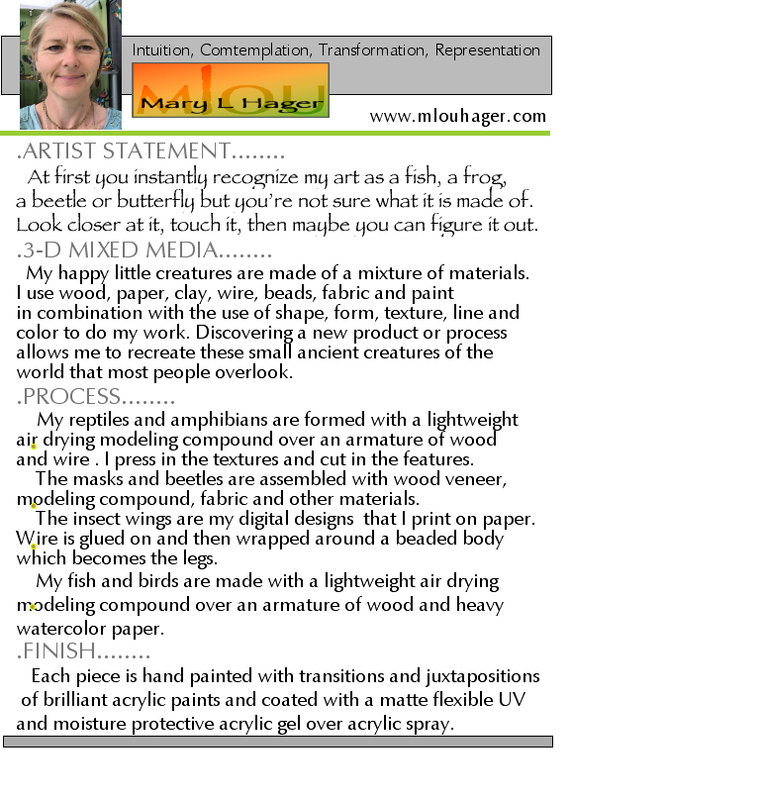 Do you have any further art training, such as attending workshops? 6. Are there any other artists in your family? My older sister is an elementary art teacher and my younger sister works in the graphics/printing field. 7. Do you sell your art in any galleries? 8. What is your favorite style of art and why? I liked Impressionism in college but I think I’ve created my own style- simple, fun, recognizable creatures with attention to accurate shape and form within the limitations of the materials I use, then painted with bright fun colors. 9. Do you have any favorite artists (living or deceased)? 10. 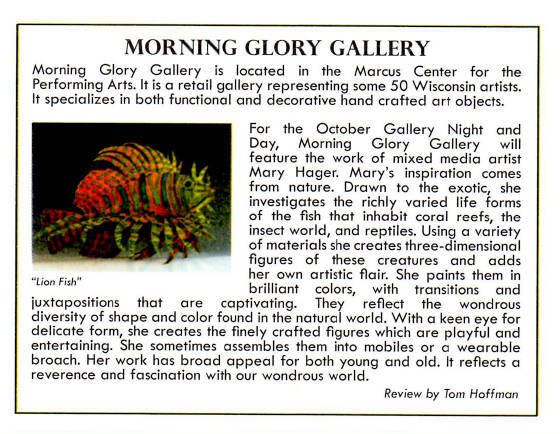 What inspired you to create the large Lionfish sculpture? I really like the salt water fish, their shapes and color, and thougth the lionfish was a really cool unreal looking fish but I couldn’t make it until I figured out how to make the fins. I found a way to make the fins by cementing parchment paper together with wire inbetween, then cutting out the shapes of the fins and binding them together. Of course the lionfish is brown and white, but I tend to put a lot more color into them then how they look in nature. 11. What year did you make the large Lionfish sculpture? I can’t remember, maybe 2001. 12. What are your favorite subjects in your artworks and why? I like small little brightly colored creatures that are a challenge to figure out how to make them using wood, wire, paper, fabric beads etc. There are 3 books where I get most of my ideas from. 13. Do you have any special projects that you're working on now or plan to start in the near future? 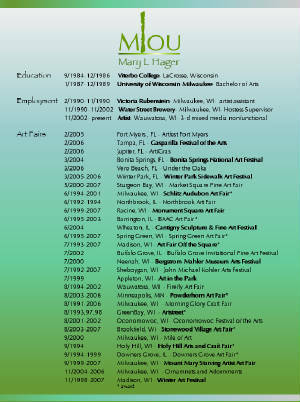 Just trying to get in to bigger and better art fairs.